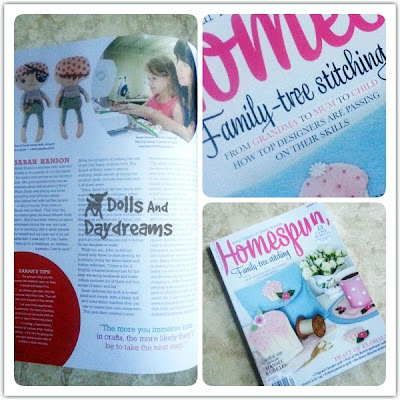 I was super excited to be interviewed by Homespun Magazine for their Family-tree Stitching feature of Top Designers in the Sewing World! What an honor, and my little Miss couldn't believe her eyes that her photo was in 'a book Mummy!!!'. 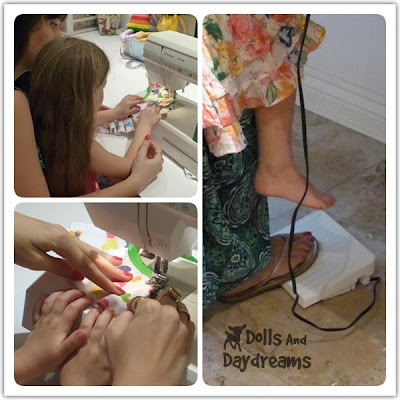 I really enjoy sewing with my daughter, and even though her tiny toes don't reach the foot pedal, and she needs help guiding her fabric ...... we have so much fun together! It's a real bonding experience! 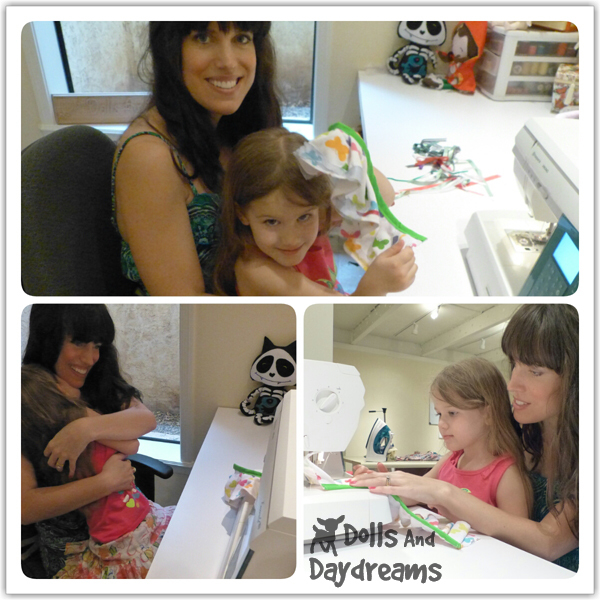 Seeing the joy and the excitement in her face when she's created something for one of her dollies makes my day! I can't wait till she's making her own toys from scratch! Tips for Teaching Your Kids to Sew. • Keep it simple. Keep it fun!The younger they are the shorter the attention span, so keep things simple and quick! If the project has two parts, break it up and have a snack in between … or save it for the next day. • Get them excited about a project. As children get older they like to choose what they make so let them! They will stay much more focused if they get to pick the pattern and fabric themselves. 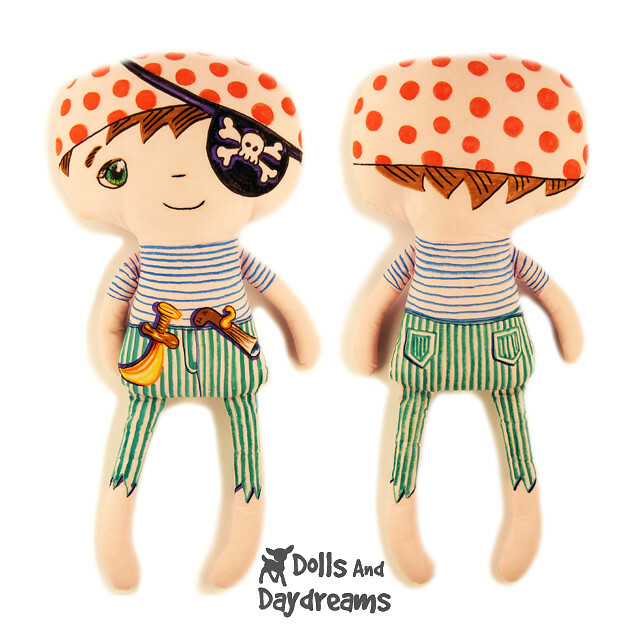 • Let your kids experiment!I know it’s easy to ‘take over’ Mummies, but sometimes the most charming creations can be made when an arm or a leg is in the wrong place! Are your kids too young for sewing? 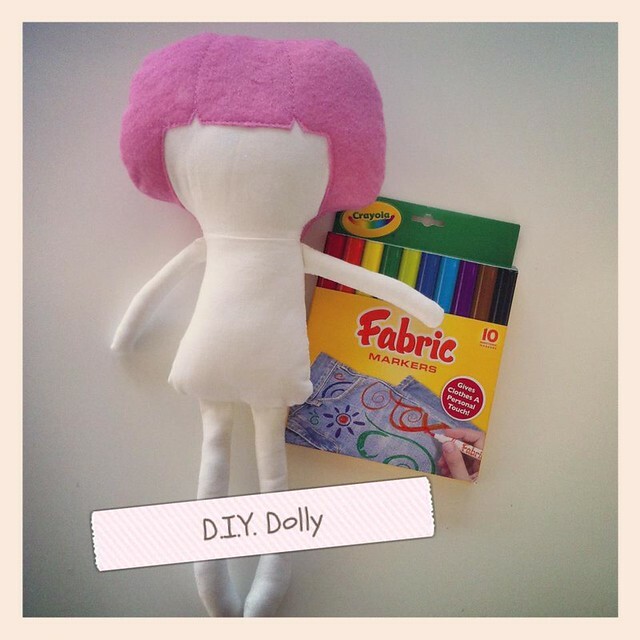 Why not whip up a blank dolly and give them some Fabric Markers?! :) So much fun for Birthday Parties and Rainy Days - See this post for how to!